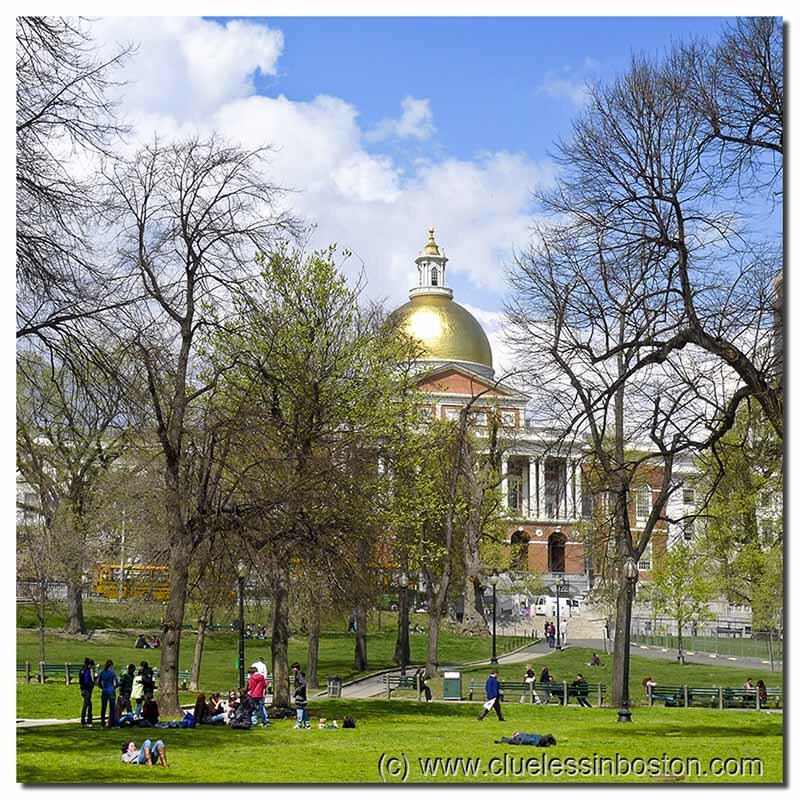 Massachusetts State House viewed from the Boston Common. What a gorgeous photo. Your spring photos are definitely cheering me up. London has been miserable this month! Great photo with the light sparkling across the roof line. What a beautiful sky, and such a great building! The gold dome is beautiful! Now, there's a landmark. It keeps on track when I'm wandering around this 'neck of the woods'. Not so long ago, there was noone on your pictures; People are like butterflies, they come back with spring! Found your blog today via a trail of breadcrumbs from Photos from Haninge. Great photos.